You Can 'Destroy All Monsters,' But You Can't Kill Rock And Roll Author and musician Jeff Jackson's new novel paints a nightmarish world where the debate over authenticity and selling out has lead to an epidemic of musicians being killed on stage, mid-performance. I once listened to an interview with Spanish singer-songwriter Joaquín Sabina in which he said a good song is the sum of good lyrics, good music, and something else no one can describe. That definition works, but only if you never identify the last thing. In Jeff Jackson's Destroy All Monsters, performance is the third component, and focusing on that mystic element kills music's significance and magic. At least, that's my interpretation of this multilayered novel. In Monsters, there is no big reveal, only an epidemic of violence that sweeps the country and makes people murder musicians in the middle of their sets. The epidemic starts with an unnamed man at a concert and quickly spreads, infecting men and women everywhere with the uncontrollable desire to murder musicians. In the ensuing chaos, fear reigns as fans reevaluate their relationship with songs and the role of theatrics in music. She'll always replay the bands' entrance, the audience stunned into silence, the atmosphere saturated with expectation. She'll wish she could remain in this moment of wild possibility, her senses dilated, forever on the cusp of the distorted ripple of the first note. Now the music didn't sound like anything. The melody was indistinguishable from the drone of the motor, the whine of the tires, the hiss of the wind. The suffocating noises of the world. Jackson uses violence to illuminate a discussion about authenticity. When everyone is a "creative," he argues, money and fame are the goals, and bands outnumber fans, music becomes corrupted. A corrupted thing no longer works, so how do you fix it? 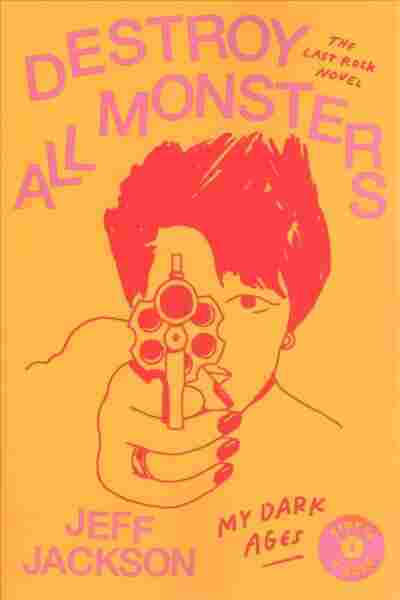 In Destroy All Monsters, the solution is murder. Unfortunately, this remedy affects everyone: Those who favor aesthetics over content die, but so do those for whom rock and roll is life. Jackson is a singer-songwriter in the band Julian Calendar, among other things. He is close to music, so you might wonder if he's setting himself up as a gatekeeper here. However, he never defines authenticity, or provides a clear motive for the epidemic. There are no easy answers in the debate about the commercialization of art and the demise of genuineness, and Jackson doesn't try to find any. Instead, he creates a world without explanations, where every act of violence is a prelude to another — leaving the reader space to fill in her own responses. Like a classic vinyl single, this novel has two sides. Side A, "My Dark Ages," follows Xenie, a young woman obsessed with understanding the epidemic. Side B, "Kill City," uses some of the same characters to tell a different story that focuses on the motivations of the killers. Both books work as a unit because they share core themes: music, legitimacy, the search for meaning, and death. No, the book doesn't offer any answers, but it forces readers to ask all the right questions — while telling them a beautiful truth: You can't kill rock and roll. In my early teens, I spent hours listening to songs like Led Zeppelin's "Stairway to Heaven" and the Eagles' "Hotel California." I wanted to decode them, to tap into something sinister and special. I read about Black Sabbath's relationship with Satan and believed Robert Johnson's guitar skills came from demonic midnight dealings at the crossroad. Years later, Marilyn Manson's single contact lens made me laugh at my old self. Rock and roll was dead. Aesthetics had won the battle and everything meant nothing. Now, my past self laughs at me as he ponders Monsters. No, the book doesn't offer any answers, but it forces readers to ask all the right questions — while telling them a beautiful truth: You can't kill rock and roll. Mira Corpora, Jackson's debut novel, was a dreamlike story about a runaway dealing with trauma. Haunted spaces and young outcasts filled its pages. His second book, Novi Sad, is a labyrinthine story about a group of friends who move into an abandoned hotel after the apocalypse to await the end of the world. Destroy All Monsters is those two books' cool older brother. It's longer and far more nuanced, but also deals with young people looking for answers in an ugly world. And looking for answers is what Jackson wants readers to do. This novel is the bustle in your hedgerow. Go decipher it.